Center for Story-based Strategy (CSS) is a national movement-building organization dedicated to harnessing the power of narrative for social change. We offer training and strategic support to social justice organizations and alliances to change the story on the issues that matter most. We weren’t going after GEO’s story, we were looking at the status quo story. I think we really successfully hitched our cart to a mainstream liberal story and pushed that story to the left. In terms of imagination building power, this was the first and only action I’ve done where the police arrived on scene, saw what was happening, and then left. The whole scene was incredibly haunting. Everybody, and I mean everybody, stopped what they were doing and fell silent. And I believe it was in part because people were imagining themselves, their kids, their family, in the cage. NEW: Story-based Strategy Core Concepts ONLINE Workshop! 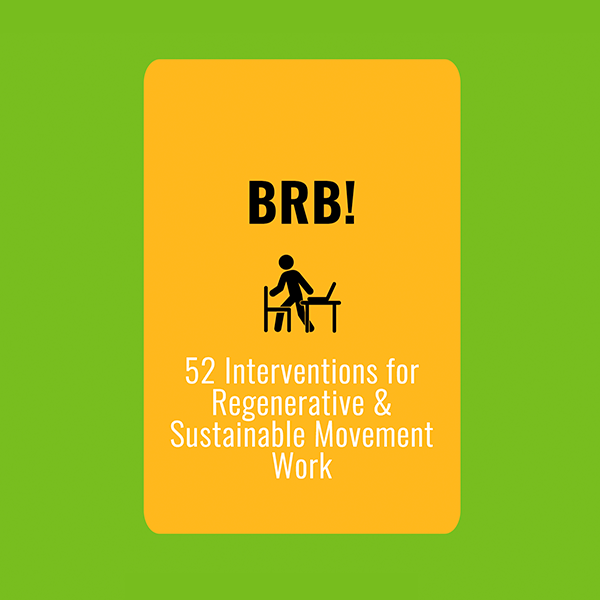 A digital card deck of regenerative activities for maintaining your sustainability in social justice work. Have you seen this image before? Could there be more to this story? What other stories could we create? Bingo cards to keep your community sustainably involved in movements for collective liberation! Meet our people, all our people.